Waukesha Citywide Signal System Analysis & Timing - TADI - Traffic Analysis & Design, INC. Waukesha Citywide Signal System Analysis & Timing - TADI - Traffic Analysis & Design, INC.
TADI performed traffic counts, travel time studies, traffic analysis of the existing conditions and analysis of optimized traffic signal timing for 47 signalized intersections. 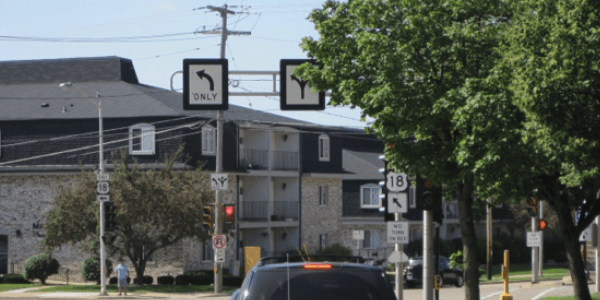 The optimized timings are designed to improve traffic signal coordination/progression along eight progression routes and take into account current MUTCD pedestrian timing guidelines. TADI coordinated the implementation of the new timings and helped fine-tune the timings in the field to maximize efficiency. After final field implementation, TADI performed travel time and delay runs for a comparison to the “before timing modification” conditions. A final report was prepared documenting the procedures, findings, recommendations and results of the traffic analysis/timing plans. Additionally, TADI aided the City in completing CMAQ checklist forms. The traffic signal analysis and retiming resulted in a 10- to 12-percent reduction in system-wide delays, a 10- to 11-percent reduction in system-wide stops, and a 4- to 5-percent reduction in fuel consumption on the identified corridors in the City.